Yesterday we left Positano and travelled north by high speed train to Firenze and then drove south to our base for the next two days – Radda in Chianti. 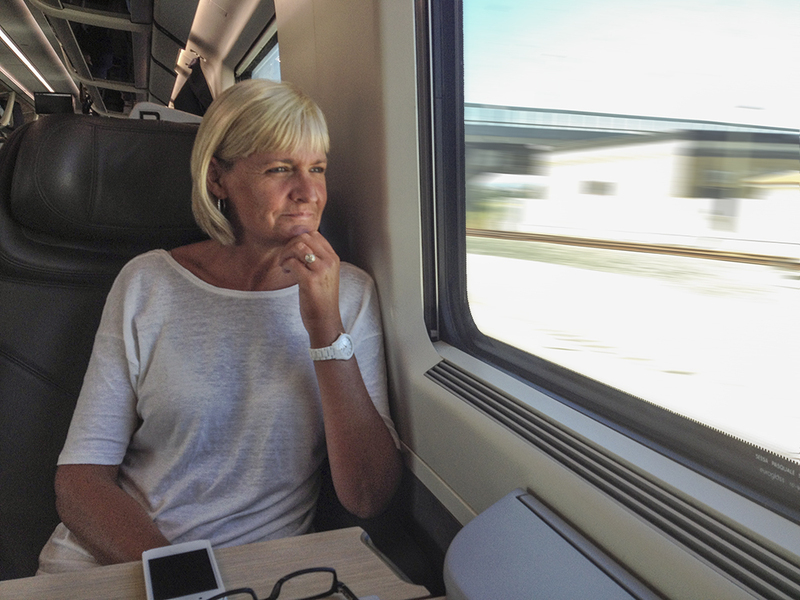 After the fun and games of air travel, train travel is so easy and relaxing it’s ridiculous. The most stressful part of the trip was keeping an eye on our bags at Napoli Station – a place renown for pick pockets and thieves. In all it took 2 hours and 50 minutes to complete the train trip that would have required between 5 and 6 hours to drive. We collected a rental car at Firenze, negotiated the city’s one way system, and 50 minutes later checked in at Relais Vignale in Radda which is in the heart of Chianti. We have dinner planned with friends who live in Chianti and a trip to Siena for a spot of shopping before heading on to Roma – because, as they say, that’s where all roads lead. Yesterday, our week in Sicily came to and end and we returned to Positano. Our journey back was a truly Italian experience. We drove from the villa to Catania airport and arrived with over 2 hours to check in, go through security and board our flight – loads of time we thought. The first clue that the airport was going to be an adventure was the thousand or so people crowding around the 4 Alitalia check-in counters, with another 150 people crowding around the 3 working automated check-in terminals. Jean and I have played this game before so she joined the “bag drop” queue (for that read mass of people all crowding around the one poor Alitalia staff member at the bag drop counter) while I joined the “print your boarding pass” queue. After about 40 minutes Jean had moved 3 feet and I had reached the check in terminal. With about 200 people watching, waiting and providing helpful (and loud) advice in Italian (no pressure) I went through the process of printing the passes. Just as I rejoined Jean an Alitalia staff member came through the crowd saying that those travelling to Napoli should move to another, newly opened, check-in counter. Salvation we thought, as we joined a relatively short queue to check in. But then another Italian tradition kicked in – everyone in the queue had a problem with something – the lady travelling alone with 4 check in bags and no intention of paying for excess baggage. The couple travelling with a dog, but no booking for the dog. In 30 minutes 3 people (plus 4 bags and 1 dog) had checked in. We now had less than an hour to our flight departure. A lovely Italian gentleman who was seeing his son off looked at us and shrugged his shoulders. He said that this always happens but somehow it all comes together in the end – he called it “Italian creativity”. At that point the baggage belt stopped working. Apparently the baggage handling team was overwhelmed and needed some time to recover. By this time we had reached the check-in desk and had our bags tagged but they were sitting on the floor in front of the counter – together with a growing number of bags as the luggage started to spread across the terminal floor. The baggage conveyor belts were full and not moving and we were told not to leave our bags unattended. We now had less than 30 minutes to get through security and make the flight. This made us nervous because as we’d passed the entrance to security about an hour and a half earlier and it had queues longer than the check-in desks. But we had no choice. We were stuck watching our bags. At this point a helpful check in lady pushed a few bags around on the carousel and found a spot for our luggage. So we were off to join the queue at security. But now the delay worked for us. Because check-in had effectively stopped, security was deserted. It took 5 minutes to go through and reach our gate, just as boarding was commencing. At this stage we gave our bags about a 10% chance of making the flight – but as we sat on the plane we could see them being loaded – along with all the others for the flight. We left on time and actually arrived 5 mins early into Napoli – with all our luggage intact. After the early start and drama of the flight, we were exhausted so both managed to fall asleep in the back of the car that collected us from the airport for the drive to Positano. 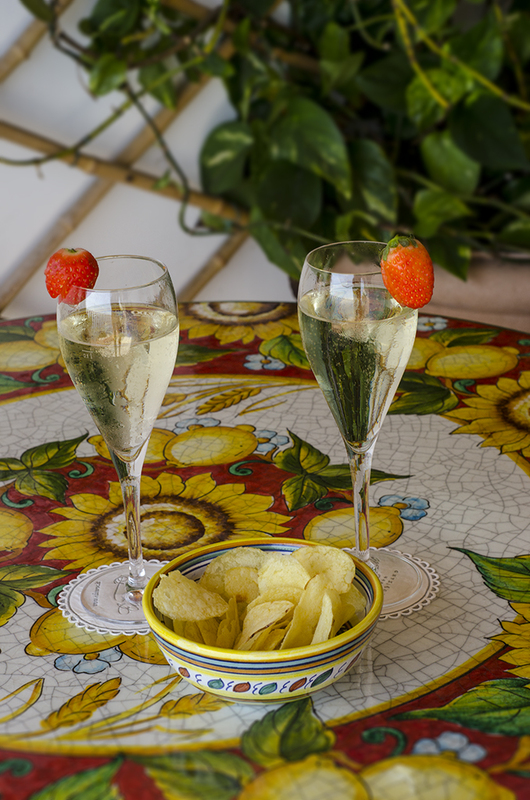 But things were looking up – we arrived at the hotel to a warm welcome, a room upgrade to a suite, and two glasses of chilled prosecco waiting for us. 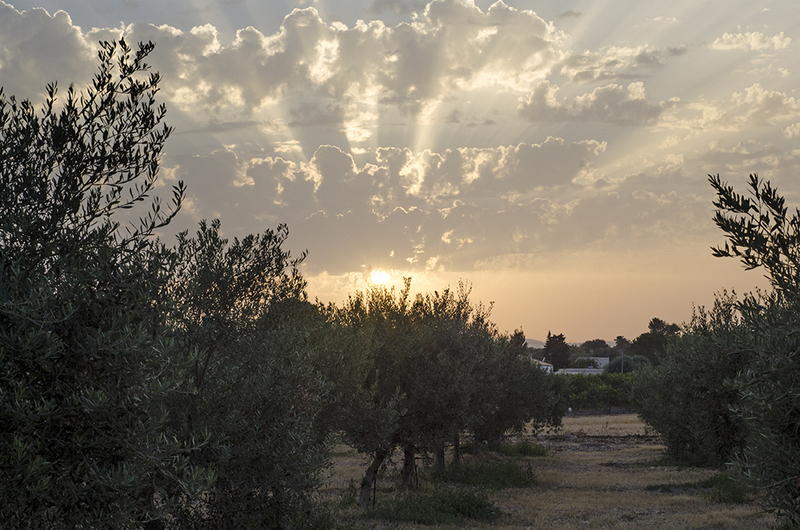 The view beyond our pool and out over the olive grove was enhanced on Thursday night by a spectacular sunset. Today the All Blacks played the Wallabies in the second Bledisloe Cup test. Despite a TV with over 500 channels these Sicilean AB supporters could find no TV coverage of the game. Compounding this, the villa internet connection is the narrowest broadband connection in the world and so video was all buffering and no streaming. But the saviour turned out to be the Radio NZ iPhone app which streamed the radio commentary of the game perfectly. 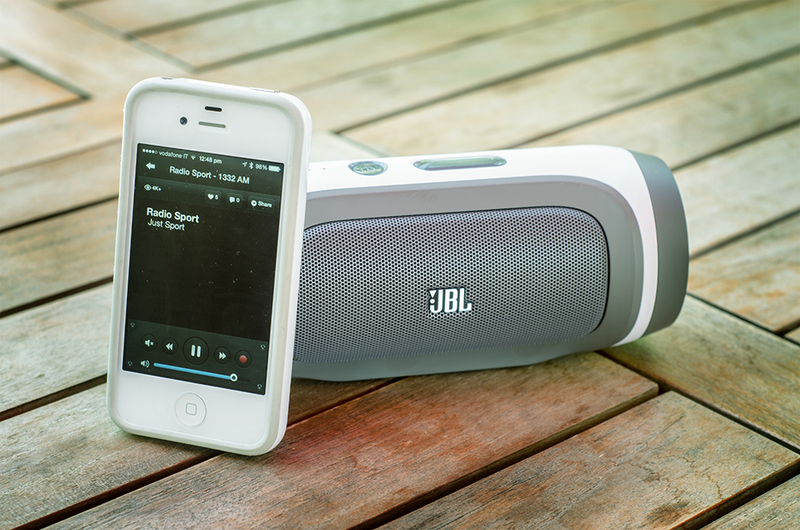 And when broadcast through our portable JBL bluetooth speaker it gave us stadium quality sound. And what an All Black victory – 51 points to 20 – tutto bene.